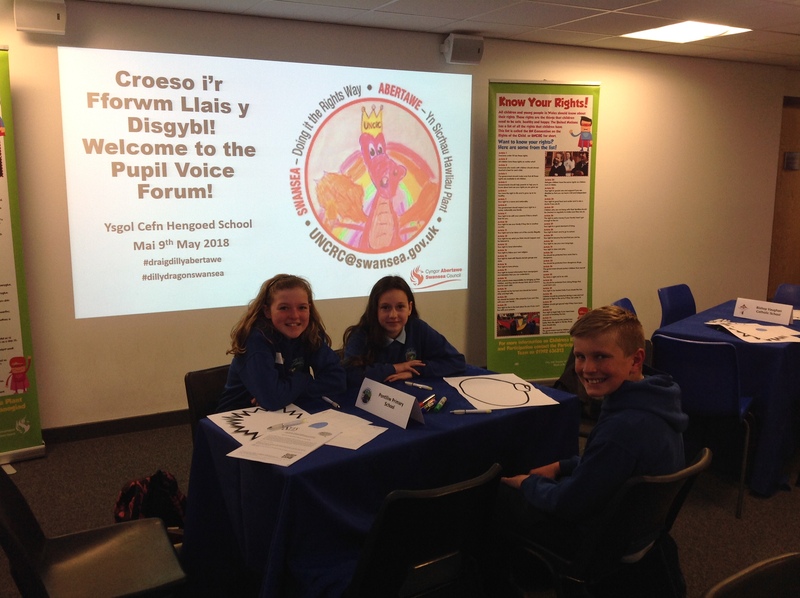 Some of our School Council representatives recently attended a pupil voice forum at Cefn Hengoed Comprehensive School. The children had the opportunity to meet with pupils from other schools in Swansea, as well as representatives from various different organisations. The children listened to a variety of presentations and also had the chance to give their view about proposed changes to the structure of the Ethnic Minority Achievement Unit (EMAU). Tennis skills are a hit! Blwyddyn 6 are developing their tennis skills in PE this term. Team work and hand and eye coordination are key!